From Goodreads ~ Spenser is a wisecracking former boxer turned private investigator and he is just settling into his new office when enters Harv Shepard, a beleaguered businessman who is looking for someone to help locate his runaway wife. 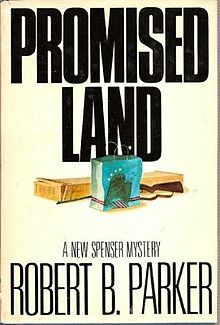 So begins "Promised Land", the fourth novel by Robert Parker, that follows the exploits of his cerebral but tough character, detective Spenser. Why Harv Shepard's wife abandoned her family and exactly where she has gone comprise only half the intrigue in this story, though Spenser soon discovers that Harv is a man in deep trouble, involved with a crooked loan shark and tangled in an ailing business venture. Spenser is a private investigator in Boston and has been hired by Harvey Shepard to find his wife, Pam, who has left him and their children. Spenser quickly finds her but she doesn't want to go home. He promises her that he won't force her to return to her husband and he won't tell Harvey where she is. Then she contacts him when she gets into some trouble she can't handle and hadn't anticipated. When Spenser finds Hawk, a former boxing competitor from years ago, threatening Harvey, he suspects that Harvey is involved with a loan shark named King Powers. Spenser must work out a plan which will get both Pam and Harvey out of the trouble they are in and get them back together. This is the fourth in the Spenser series (there are currently 46, with the last six written by Ace Atkins after Parker's death in 2010). I've read many in the series over the years (and have enjoyed the series) but I can't remember where I'd jumped in. I know I hadn't started at the beginning so have started reading them from the beginning of the series. Though it is part of a series, it works as a stand alone. I liked the writing style ... I find it humorous at times. This book was written and is set in the late 1970s so is dated with some of its references and lingo (for example, the police are called the "fuzz", etc.) but it as still fun to read. It's written in first person perspective in Spenser's voice. As a head's up, there is swearing (King Powers likes to use the "F-bomb"). 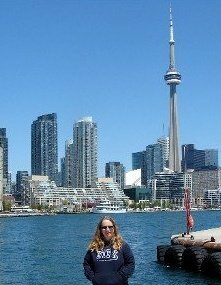 Spenser is a tough guy with a wisecracking sense of humour. He has been dating Susan Silverman (who he met in the second book) for a few years at this point and they express their love for each other in this book.